VUWBO (We) are committed to protecting and respecting your privacy. Any of the services accessible through the App (Services) that are available on the App Site or other sites of ours (Services Sites). For the avoidance of doubt, this policy relates to the personal data We collect about you, rather than the data We collect from you about others. Please refer to the EULA for more information on data protection issues arising in respect of such third party personal data. Submitted Information: information that you provide by filling in forms on the App Site and the Services Sites (together Our Sites), including the Device’s telephone number. This includes information provided at the time of registering to use the App or any of the Services, subscribing to any of the Services, posting material or requesting further services. We may also ask you for information when you report a problem with any of Our Sites. details of your visits to any of Our Sites and the resources that you access. Device information: We may collect information about the Device or any computer you may use to download or stream a copy of the App onto your Device, including, where available, the Device’s or computer’s unique Device identifiers, operating system, browser type and mobile network information as well as the Device’s telephone number, for system administration and to report aggregate information to our advertisers. We may associate Device information with Submitted Information and will treat the combined information as personal data in accordance with this policy for as long as it is combined. Location information: when you use one of our location-enabled Services, We may collect and process information about your actual location. Some of these Services require your personal data for the feature to work. If you wish to use the particular feature, you will be asked to consent to your data being used for this purpose. You can withdraw your consent at any time by noptifying us in writing at info@VUWBO.co.uk. 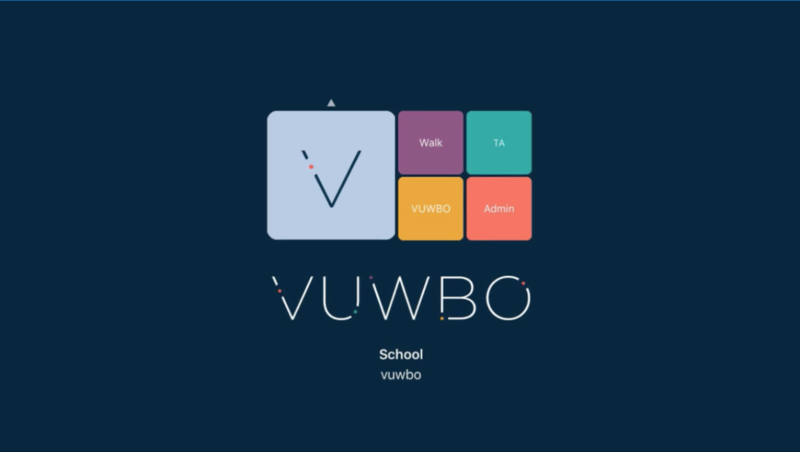 Submitted Information: The information gathered on lesson observation will automatically be sent to VUWBO. When you purchase the App without also purchasing a full subscription to the VUWBO online service (Subscription) this information will be anonymised but will be attributable to your organisation. When you purchase the App and also purchase a Subscription, this information will not be anonymised as well as being attributable to your organisation. The information will be used to research trends in teaching and learning across all users. Furthermore the identification of your organisation, should you purchase a Subscription, will allow you to produce reports using information collected on multiple Devices. Submitted Information will also be used to improve the service we provide to our users. Additional information: Contact information which you provide will be used to inform you of related products and services we consider useful to you. Device information: This will be gathered so that subscribers using multiple devices can analyse all data collected relating to their organisation. We may also use this information to provide targeted information to our advertisers. Location information: This will be used to examine geographical trends in quality of teaching and learning. Log information: This will be used to inform multi-platform development and use. Unique application numbers: to monitor use of this App. We may also use your data, or permit selected third parties to use your data, to provide you with information about goods and services that may be of interest to you. We or they may contact you about these by post or telephone. If you are an existing customer, We will only contact you by electronic means (e-mail or SMS) with information about goods and services similar to those that were the subject of a previous sale to you. If We are acquired by a third party, in which case personal data held by VUWBO about its customers will be one of the transferred assets. You have the right to ask us not to process your personal data for marketing purposes. We will usually inform you (before collecting your data) if We intend to use your data for such purposes or if We intend to disclose your information to any third party for such purposes. You can exercise your right to prevent such processing by checking certain boxes on the forms We use to collect your data. You can also exercise the right at any time by contacting us at www.vuwbo.com.